Corruption Eradication Commission (KPK) prosecutors have demanded that a panel of judges at the Jakarta Corruption Court punish Golkar Party politician Eni Maulani Saragih with an eight-year prison sentence for two separate corruption cases. The prosecutors also demanded that the defendant pay a fine of Rp 300 million (US$21,529) and restitution fees amounting to Rp 10.3 billion and $40,000. “[We also demand] the defendant to be stripped of her political right to be elected for any public position for five years after the completion of her sentence,” prosecutor Lie Putra Setiawan said in reading out the demand letter during a hearing on Wednesday. KPK prosecutors concluded that Eni, a former deputy chairwoman of the House of Representatives Commission VII overseeing energy and mineral resources, was guilty of accepting a total of Rp 4.75 billion from businessman Johanes Budisutrisno Kotjo, a shareholder at energy firm BlackGold Natural Resources Limited. It is alleged that, in return for the funds, she and fellow Golkar politician Idrus Marham would help a consortium led by BlackGold and China Huadian Engineering Company Limited to win the Riau-1 coal-fired power plant construction project, which is valued at around $900 million. Moreover, prosecutors also concluded that the lawmaker had accepted gratuities totaling Rp 5.6 billion and $40,000 from oil and gas company owners and directors. 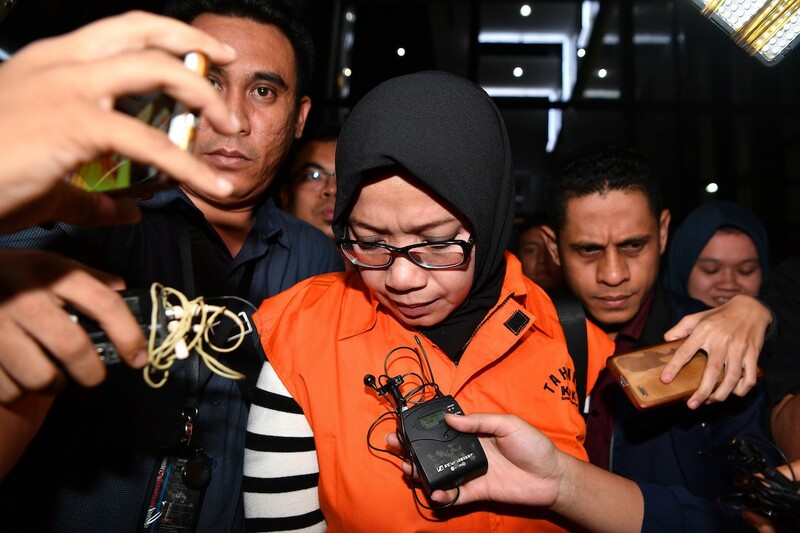 The alleged gifts were used to fund her husband M. Al Khadziq’s campaign for Central Java’s Temanggung regental position during an election in 2018, prosecutors found. Idrus’ trial is ongoing at the Jakarta Corruption Court. Johannes was found guilty in the case and sentenced to two years and eight months in prison.